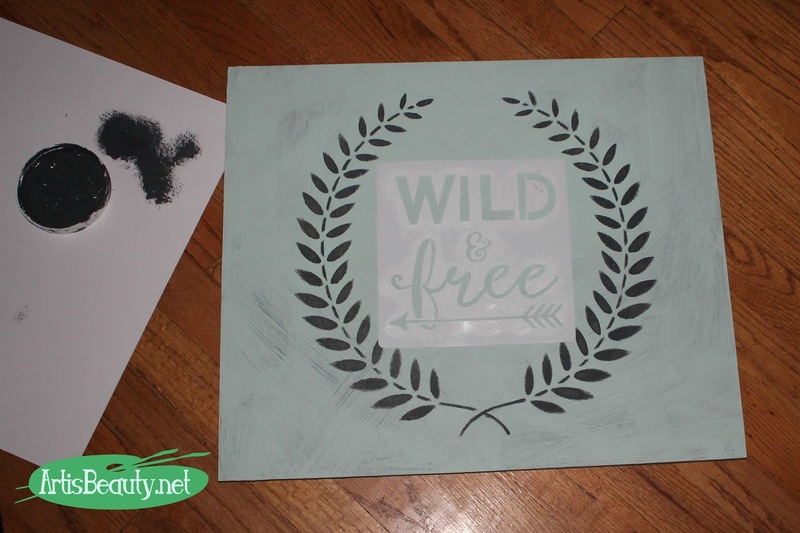 ART IS BEAUTY: Easy DIY "WILD & free" home decor made from scrap wood. Easy DIY "WILD & free" home decor made from scrap wood. 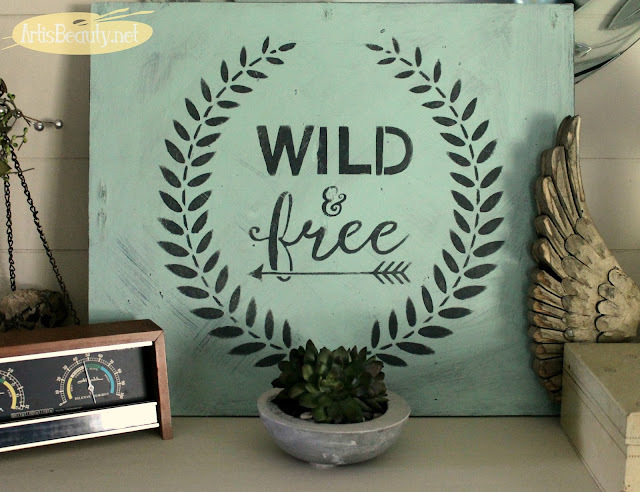 Today I am going to show you how to make an Easy DIY "WILD & free" home decor made from scrap wood. I meant to put this post up a few days ago but my oldest is graduating and I seem to spend my days running in circles to get ready for all the different events. Last night was her Honors Night and we couldn't be more proud. Now all we have left is her actual commencement in a few days and then her party. This is the board I started with. It was actually a piece of an old 70s headboard. I popped the plastic parts off to expose the board. Next I grabbed a variety of stencils. 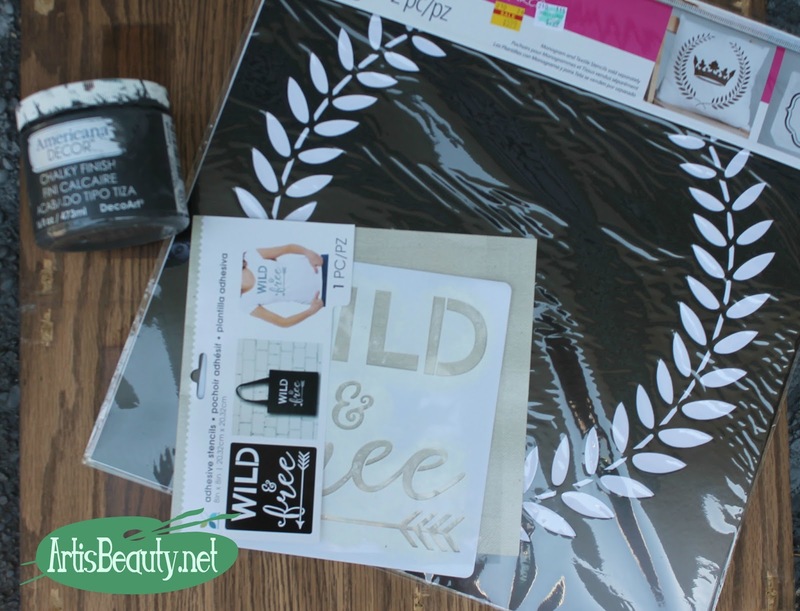 I grabbed my Wild and Free stencil and my laurel wreath stencil that I got on clearance. I figured out how I wanted them laid out and got to work. 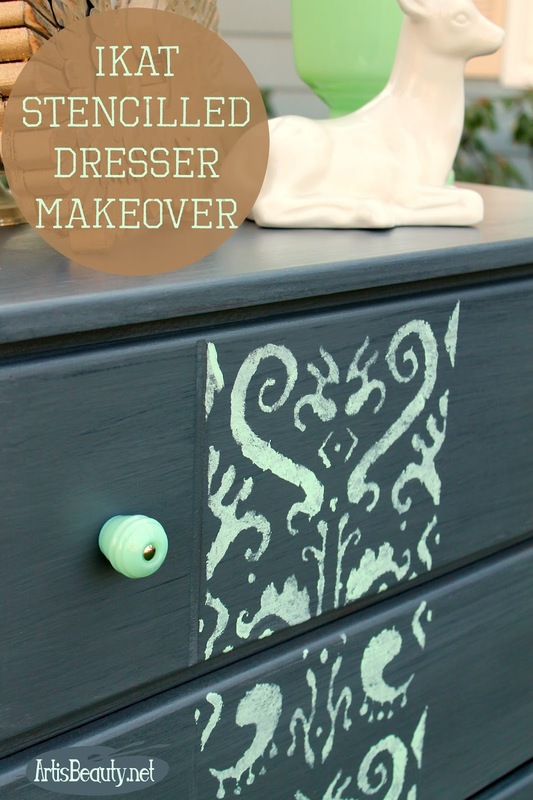 I used the same RELIC paint to paint on my stencils. 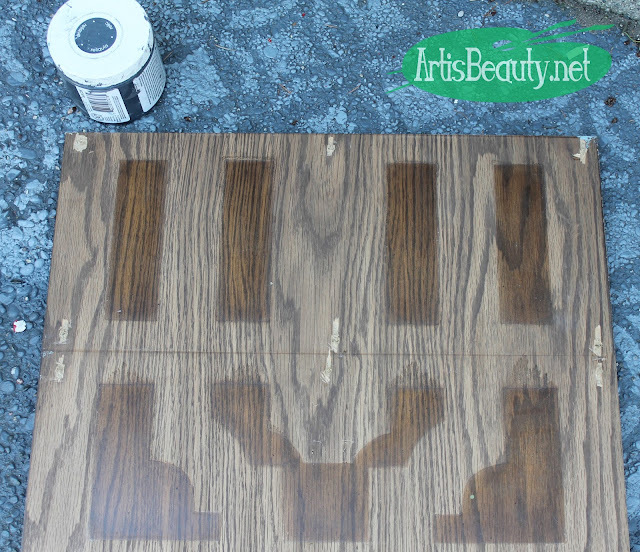 Once they were all painted on, I distressed the whole piece and wiped some americana satin varnish on top to seal it. and here it is all finished. I just love the gray and mint together. I love the refreshing feel of the gray with the mint. A new post that shows how even a gross old piece of scrap wood can be made Beautiful. Hopefully soon I will be back with another makeover for you.